This is a body of one-piece (!) flamed (!!) birch (!!! 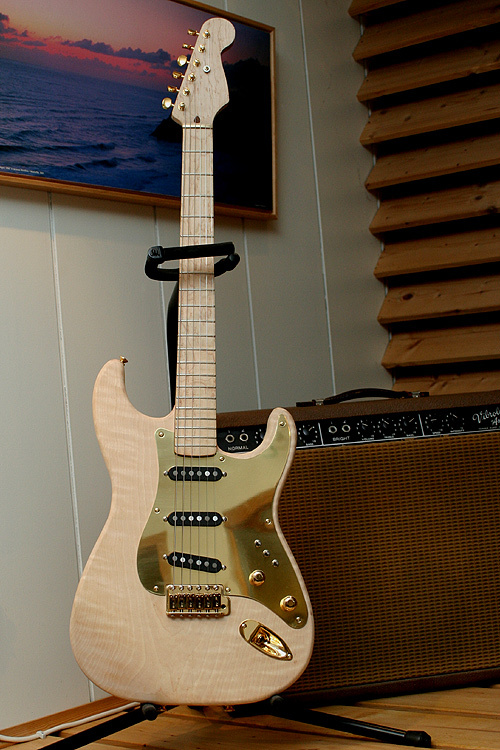 ), shaped like a Schecter Dream Machine body (yes, the shape is slightly different to a Fender body, e.g. slimmer horns and cutaways) . The neck is a one-piece birds-eye neck, the neck profile is copied from a Van Nuys era Schecter neck. The guitar sounds very cool !!! And before you wonder why this neck has no dots on the front (Mark’s Schecter – the one that was stolen – had dots): there are a few more bodies waiting around here, of different kinds of mahogany, birch, and ash. I have not decided yet on which body this neck will end (Mark’s other Schecters were dotless). The flame of the wood will come out when the guitar is finished. This is the raw untreated wood (!) but you already get an idea of the flame. Sounds good, has the “thick” quality of the original. 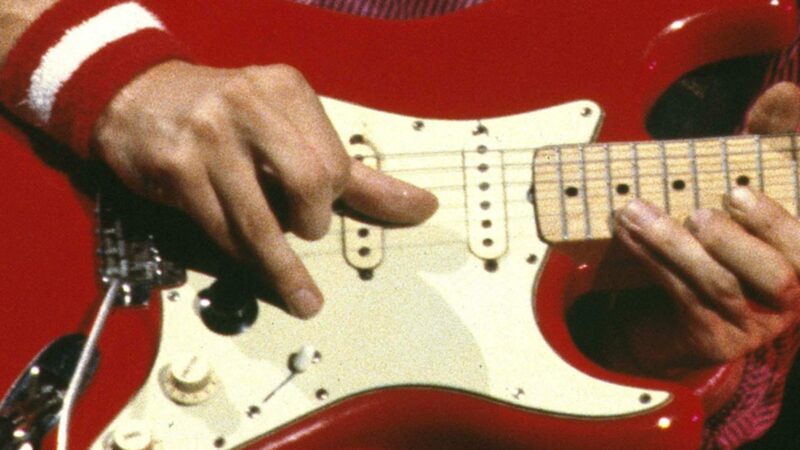 So which pickups are installed there? Tele pickups similar to those in this video are available as well. Do you make the pickguard? 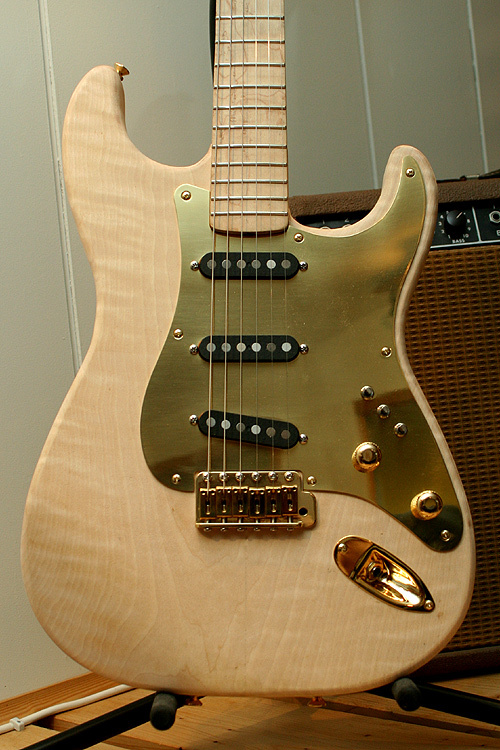 Do you know of anyone who can build me a Schecter Dream Machine Copy like one used on tunnel of love gold pick guard ! Looks great Ingo! I’ll be first in line to buy when you make these parts available! Any plans to perhaps try a side route for the input jack?? Good luck with this–hope it comes to fruition soon! Sounds great with that Schecter bell like quality to the tone. So when are you gonna paint it sunburst ? hi ingo, when will you make a video of the finished product?